When complete, there will be a maximum of only 13 villas in the development. Each villa is custom designed to the buyer's parameters taking into consideration the topography of the building site chosen. At present, we have seven building sites available. Price for each site varies depending upon elevation and views and range from US$550K to US$1.3MM. Each villa on Sundance Ridge will be unique. There are no completed villas available for purchase. One of the villas is on the market for resale. Size of Villas: To date there is one 5000 sq.ft. villa, two 8000 sq.ft. villas, and one 16,000 sq.ft. villa - all custom. A fifth villa is under construction and will be about 10,000 sq. ft. in size. We work with several highly qualified upscale subcontractors on St. Kitts to build the villas or a buyer may contract construction himself. Specific exterior design characteristics and material guidelines must be followed to maintain the general overall exterior appearance of the development. Interior design can be anything the Buyer prefers. Grounds Maintenance: A management company will be hired to control all exterior grounds maintenance. In the interim, we are contracting all landscaping and general infrastructure maintenance. We estimate each villa's contribution to grounds, security, and infrastructure maintenance will be approximately US$750/month. We work with the individual villa owner with regard to landscaping on their property that will compliment the overall appearance of the development. 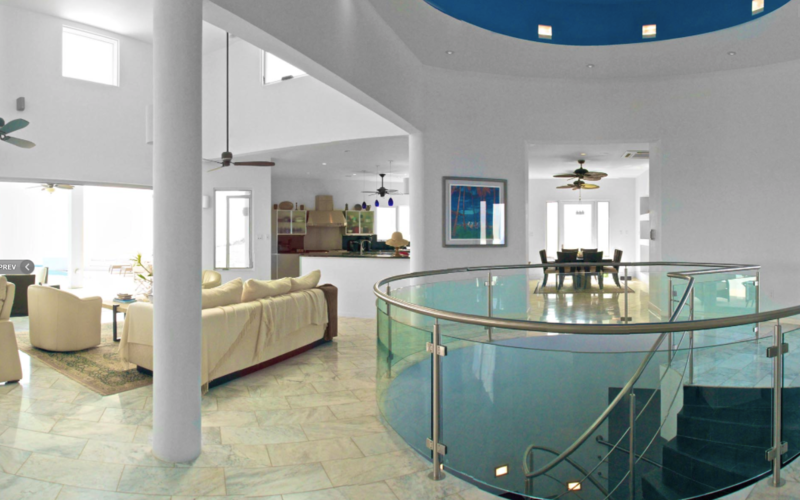 Villa Maintenance: Each owner will be responsible for maintaining the interior and exterior of their villa. 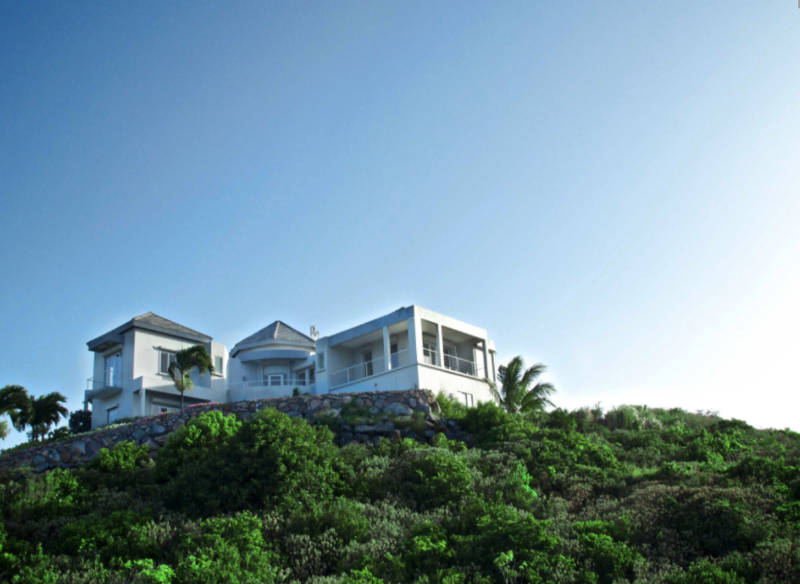 There are companies on island that manage property if required. Pool Maintenance: Pool maintenance can be provided by a local contractor. Weekly pool cleaning and normal maintenance runs approximately US$175/month. Golf Course: The Royal St. Kitts Marriott Golf Course is a semi-private club which anyone can join. The golf course is a challenging course and is enjoyed by all levels of players. The course is rarely full and T-times are easy to arrange. Two additional 18 hole courses are under construction on the island. The Four Seasons Hotel on Nevis has an 18 hole course that anyone can play. Villa Rental Program: We have no plans to offer a rental program but have no objection to an owner renting his/her villa. There are real estate companies on-island that provide this service. 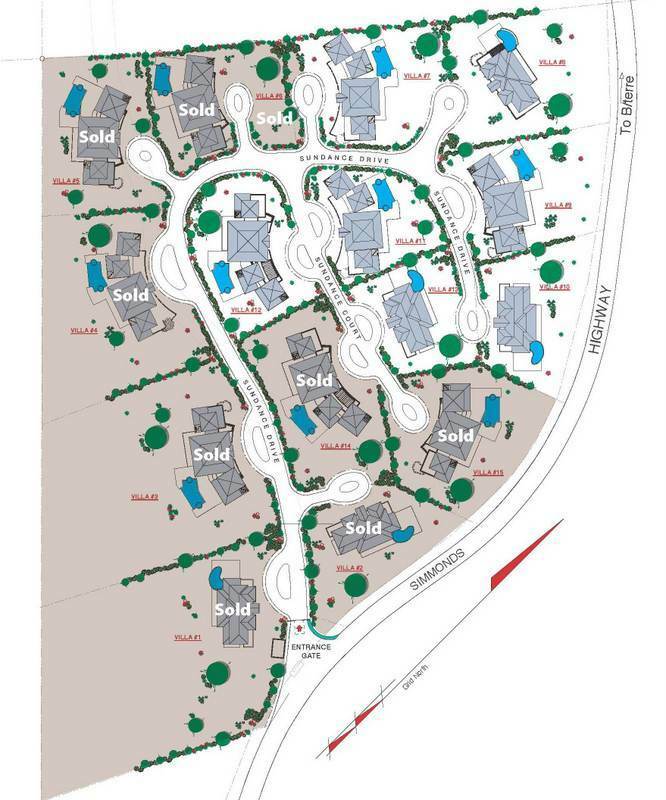 Security: Sundance Ridge is a gated community with only one entrance and exit. Security guards patrol the development at night to provide additional security for the residents. Construction time: Average time to construct a villa on Sundance Ridge is approximately 18 months once plans are completed. The government planning department must approve the plans then construction can start. We have our own, development exclusive, standby electrical generator to insure uninterrupted power. Fiber-optic lines supply service for cable TV, internet, and telephone communication. Sewage treatment is handled using aerobic sewage plants (each villa has its own). Each villa is designed with a cistern for stand-by water supply. Landscape irrigation systems are standard for each villa. 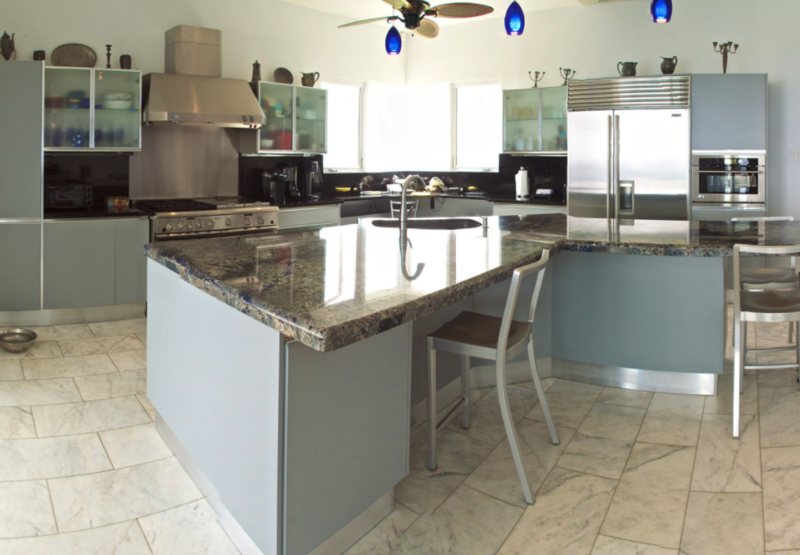 Customer Hired Interior Designer: There are several qualified interior designers on St. Kitts. All furniture and furnishings a buyer imports can be imported "duty-free" for the first year. St. Kitts and Nevis Economic Citizenship: Sundance Ridge qualifies for the St. Kitts and Nevis Economic Citizenship Program which would allow you to have dual citizenship if you choose. This is a custom build and not for sale. This is indicative of the kind of projects that can be built. When complete, there will be a maximum of only 13 villas in the development. Each villa is custom designed to the buyer's parameters taking into consideration the topography of the building site chosen. At present, we have seven building sites available. Price for each site varies depending upon elevation and views and range from US$550K to US$1.3MM.